Sunday saw the 31st running of the Mallow 10-mile road race where over 1500 runners took to the streets of Mallow. 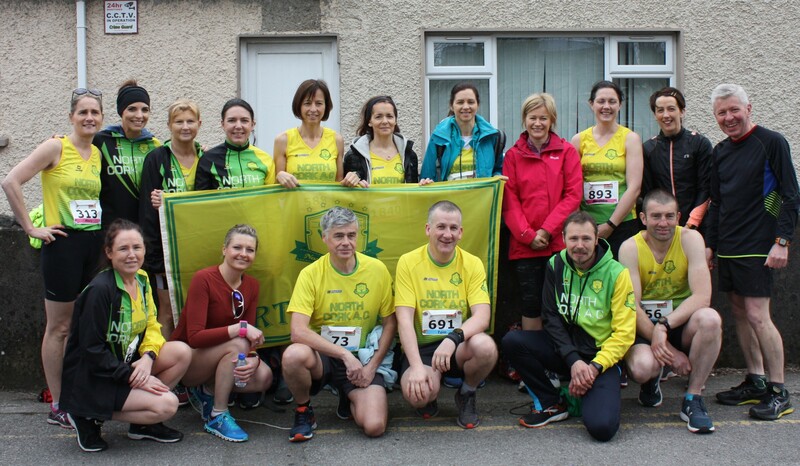 A 25 strong North Cork AC crew took part. The first North Cork A.C athlete and the 2nd athlete home overall, was Rory O’Connor in an outstanding time of 51:28. Fast times seem to run in the family as Kieran O’Connor was the next North Cork athlete to cross the line. On top of finishing in a great time of 1:06:02, he came first in the male U55 category. Sinead Buckley was the first club lady home, in a time of 1:08:23, picking up the prize for the third female U35. Next to finish was Brigita Lukste who finished in a time of 1:11:15, followed by Rick Houghton (1:14:12), Fiona Boyce (1:13:56) and Johnny Bluett (1:14:32), who all run under 75 minutes. April Corcoran (1:15:27), Deirdre O’Leary (1:16:54) and Deirdre Mc Carthy (1:19:11), all ran under 80 minutes. Mary Cremin (1:22:51), Nuala Collins (1:24:24), Linda Twomey (1:24:24), Debbie Buckley (1:23:51), Michael Flynn (1:24:22), Kate Galvin (1:24:54), Julie Riordan (1:26:48), Birdie Walsh (1:27:54), Donie Mulcahy (1:26:52) and Maria Mullins (1:29:22), all ran under 90 minutes. Edel Scully and Tom Harrold were just over 90 minutes finishing in 1:30:13 and 1:30:14. Colin Bradford (1:33:53), Jean Hanlon (1:36:36) and Fiona Doody (1:37:43), finished under 100 minutes. Well done to everyone who took part.